Let’s Prep! A Straightforward Method Anyone Can Follow, Even Me! A Guest Blog Post from Author Cara Bertrand: When it comes to most tasks, not only writing, I prefer just to dive in and get started. In other words, I am a habitual pantser. Though I know even a little preparation can make a project easier, I still usually skip it. Or at least I did, until I needed to write Tangled Thoughts. I started as usual, jumping right in, but found myself thrashing around without really going anywhere. Add in a break for edits on Second Thoughts, and I was officially stuck. I felt far from the characters and the story when, at the third book in the series, I needed to feel closer than ever. It was time to try something new. Enter Denise Jaden’s Fast Fiction: A Guide to Outlining and Writing a First-Draft Novel in Thirty Days which I saw mentioned on Twitter as being great for writers at all levels, not just beginners, and not just for those attempting NaNoWriMo. Sounded good to me! I found it easy to read and follow and, most importantly, it got even a pantser like me to focus. 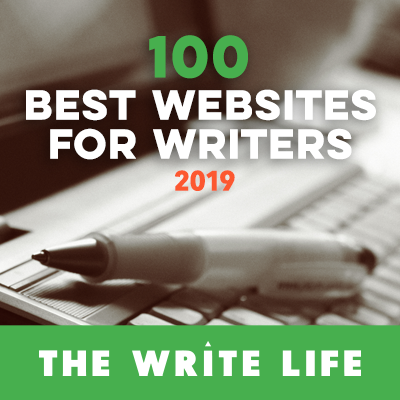 Part One walks you through the pieces of your novel—plot, character, setting, etc.—with tasks to help you both brainstorm and refine your ideas as you go. Though I didn’t follow the day-by-day writing plan in the second half (which was definitely great for working on a new, from-scratch novel), the first half was instrumental in putting my head back in the right space and my fingers back on the keyboard. Here are a few of the exercises I found most helpful and (!!) fun. Craft a premise statement. This short (one to two sentences!) exercise is one of the hardest and most helpful. It forces you to answer the age old question: what is your story about? This is something you write at the beginning to help you focus your ideas and serve as a touchstone as you write. But this doesn’t mean it won’t or can’t evolve as you get further into writing your story. Get in touch with your characters’ motivations. All of them! Secondary characters should be fully realized too (they are, after all, the stars of their own stories). This was a great exercise to immerse yourself in the heads and hearts of your characters. It helped me close the distance I’d been feeling between myself and the story. Brainstorm your themes. This is for you, the author, not necessarily something you’ll ever state explicitly. Find the ideas/feelings/emotions/concepts that drive the story and use them as a like you do the premise statement as you proceed. These, too, may change. By the end, see if you can compose a one line theme statement to go along with your premise. (You’ll see my line in the next step.) Fun exercise: turn them into a visual reference as a Wordle! Bring it all together in a story plan. This is the culmination of all your brainstorming laid out in a format you can refer to throughout your drafting process. Start with your title, followed by your premise, your theme, your symbols, important character notes, and ultimately your planned scenes and structure. Pictured below is just the first page of mine. You can download a Story Plan template from Denise Jaden’s website, among other helpful resources. This is not a comprehensive list of all the topics and exercises in Fast Fiction, but it’s a nice taste of the many straightforward and fun tasks you can do to bring yourself closer to your story before you write it. Trust me, if I can follow this prep plan, anyone can. Happy writing! Cara is a former middle school literacy teacher who now lives in the woods outside Boston with: one awesome husband, two large dogs, one small daughter and lots of words. Lost in Thought is her first novel and was one of three finalists for the 2011 Amazon/Penguin Breakthrough Novel Award in the Young Adult category. Connect with Cara on her website and at Luminis Books. Thanks for sharing such a informative content that’s y i am your big fan this is another following that’s why i read your all latest updates.